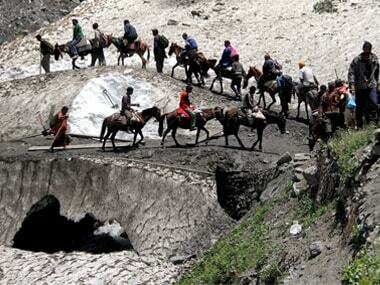 Jammu: The Amarnath yatra was resumed from Jammu on Sunday after a day-long suspension due to apprehensions of a law-and-order situation in the Valley. Over 1.34 lakh pilgrims have so far paid their obeisance to the ice-lingam of Lord Shiva at the cave shrine at an altitude of 3,888 metres in the south Kashmir Himalayas. "Today (Sunday), on the 11th day of the yatra, 8,167 pilgrims paid obeisance at the holy cave. As of now, a total of 1,34,771 yatris have had a darshan at the cave shrine," said an official spokesman. 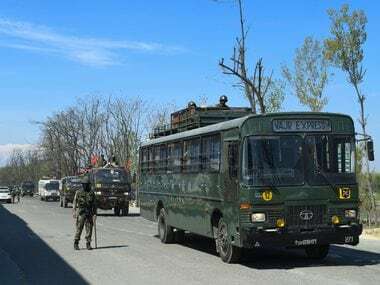 A batch of 4,411 pilgrims left the Bhagwati Nagar Yatri Niwas in Jammu on Sunday morning in a convoy of 140 vehicles, said officials. 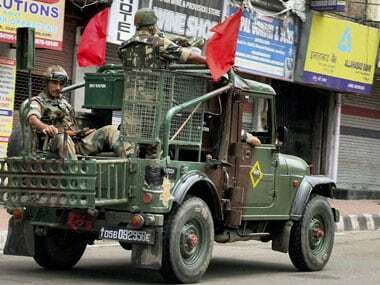 The authorities had on Saturday clamped a curfew in three towns of the Kashmir Valley, including Tral, and imposed restrictions on the movement of people in the rest of the Valley to foil the separatists' plan to take out a rally to mark the first death anniversary of Hizbul Mujahideen commander Burhan Wani. 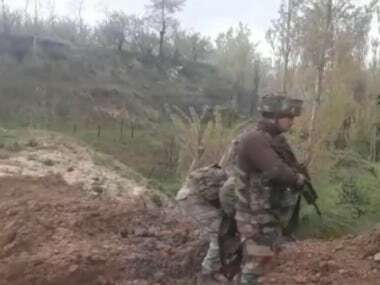 Police and paramilitary personnel have been deployed in strength across the Valley. A total of 29,705 pilgrims and sadhus have left the Jammu base camp for the cave shrine since the 40-day yatra began on 28 June. Fourteen persons, including a security officer, have died during the pilgrimage this year. 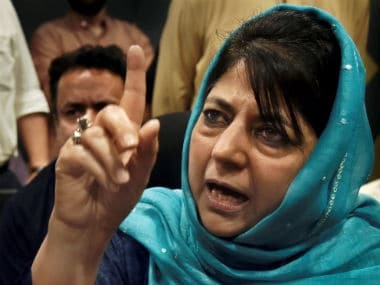 The yatra began in the backdrop of an intelligence warning of a terror attack, which prompted the authorities to mobilise the "highest level" of security measures, including satellite-tracking. The pilgrimage is scheduled to conclude on the Shravan Purnima (Raksha Bandhan) on 7 August. The cave shrine is located at a distance of 46 kilometres from Pahalgam and 14 kilometres from Baltal.